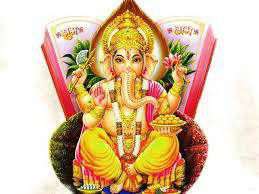 Gauri Ganesh Rudraksha is two beads on top of each other connected naturally, one small and one big, representing Lord Ganesh and mother Parvati. 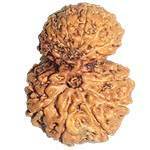 Garbh Gauri Rudraksha is the small form of Gauri Shankar. 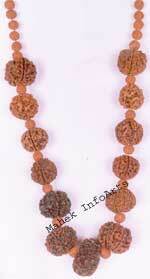 It is also called Garb Gauri . 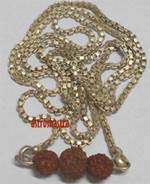 In Gauri Shankar both the joined beads have equal size but in Garbh Gauri one bead is smaller than the other, Therefore it is the best for those women who suffer defects in their conceptions and they are prone to abortion. It is advised that they should wear it. If it is worn around the neck, she gains pleasure to have issues and her motherhood gets perfection. It is considered as one of the most auspicious bead and referred as a very effective astrological remedy for bearing child. 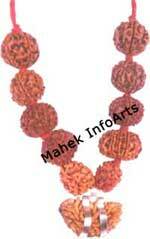 Energised bead if worn on auspicious time give good results.